Welcome to 2412 Haven Crest, located in the Valley View Neighborhood. 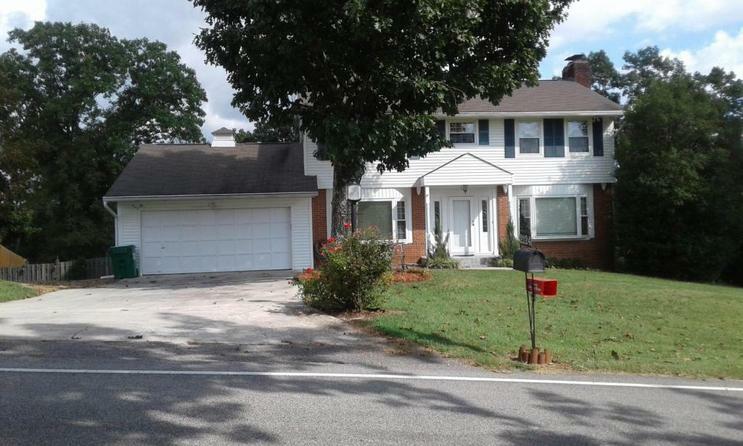 This wonderful home is conveniently located in East Brainerd, just outside the city limits, which means no city taxes. 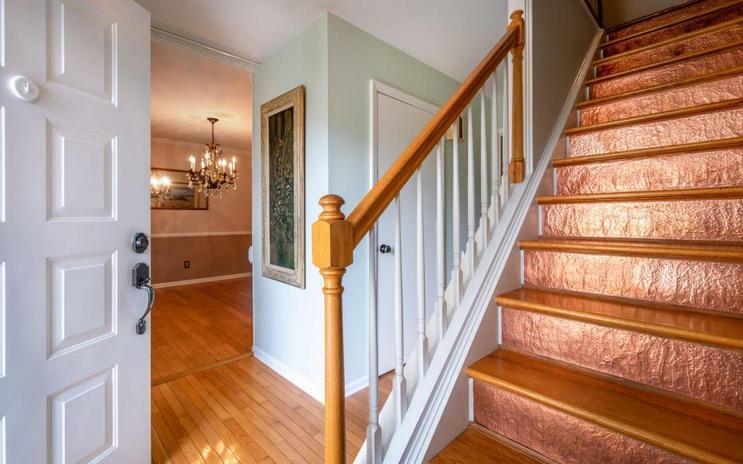 From the moment you enter, you can't help but notice the beautiful hardwood flooring and crown molding. The dining room is perfect for intimate family meals or for entertaining. The eat in kitchen is spacious and well equipped with stainless appliances, an island/breakfast bar as well as having plenty of cabinet and counter space. The living room, which has a gas fireplace, has been converted into a media room which has a 92'' screen and a 7.1 surround sound speaker system, as well as a control room. 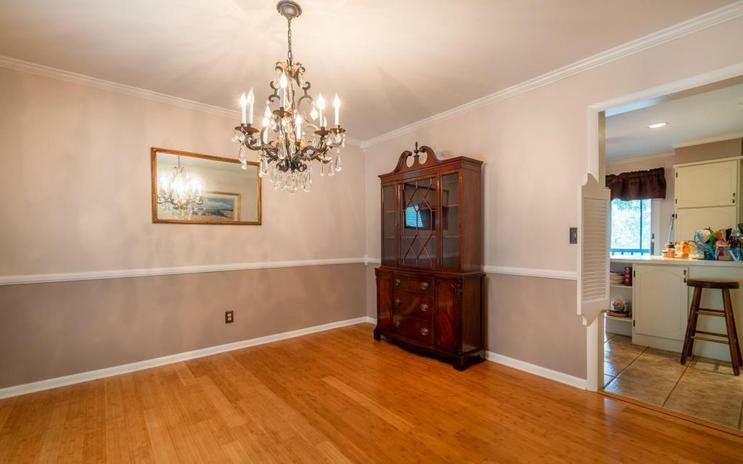 (media equipment to convey with home) Also located on the main floor is a half bath and the laundry room,which has a large pantry for additional storage. Upstairs this home offers 4 bedrooms and 2 full baths as well as a reading nook, which could be used as a playroom, that has an amazing view of downtown. 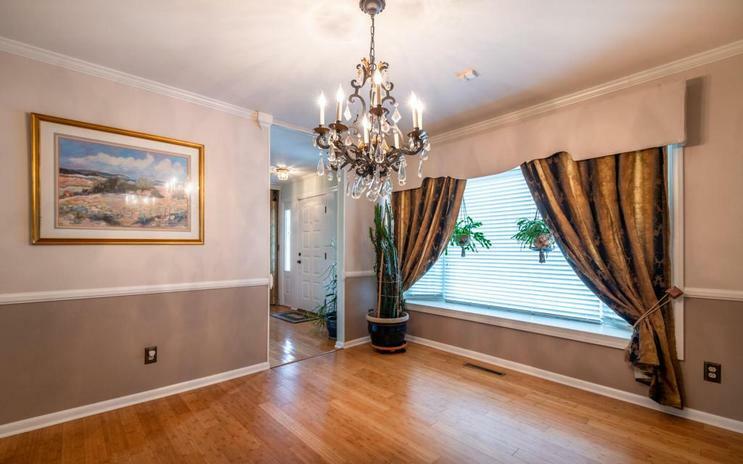 The master bedroom has a large walk-in closet, is equipped with surround sound speakers and is only steps away from the remodeled master bath. Downstairs there is a spacious den/family room that has a wood burning fireplace and a bar with amazing custom hammered copper countertops, making it the perfect "man cave". (pool table to convey with home) There are three additional rooms located downstairs, there is a full bathroom, a workshop and a craft/exercise room which has a walk-in closet This house has an amazing outdoor living space, it's a true oasis! The first thing you see when you step outside is a beautiful in-ground saltwater pool. Next, is the saltwater hot tub, be sure not to miss the outdoor bar conveniently located in the pool and hot tub area. The home has a screened in porch that overlooks the pool, which is accessed internally from the main floor, as well as an amazing open air deck off of the screen porch. Past the pool, there is a picnic area complete with fire pit and a shooting range, complete with targets, to test your skill with bee bee guns or bow and arrows. This area comes alive at night thanks to landscape lighting. Additionally, there are two large garden areas that have already been prepared with amazing soil, asparagus and herbs have already been planted. This home has been well maintained and is ready for new owners, make your appointment for your private showing today. Purchase with confidence as this home comes with a 1 YEAR HOME WARRANTY! SPECIAL FINANCING AVAILABLE ON THIS HOME COULD SAVE YOU $4,699.00 WITH THE ZERO PLUS LOAN, CONTACT AGENT FOR DETAILS.